One of the things I loved about Mark Brandi’s 2017 debut, Wimmera, was his precise writing of atmosphere, time, and place. In his follow up novel, The Rip, Brandi again creates an unforgettable document of our times, this time illuminating tough inner-city lives that are lived in plain sight. 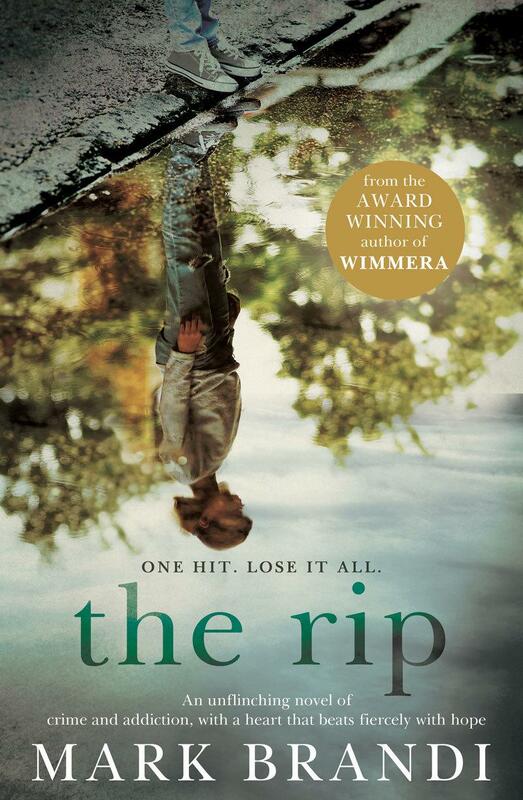 The Rip is the second installment in a stellar writing career, and our Fiction Book of the Month. It’s in company with some other exceptional Australian releases, including Alice Robinson’s The Glad Shout, Leah Kaminsky’s The Hollow Bones, Trevor Shearston’s Hare’s Fur, Carrie Tiffany’s Exploded View, and Peggy Frew’s Islands. In international fiction, Pitchaya Sudbanthad’s anticipated debut novel, Bangkok Wakes to Rain, is a sprawling historical epic which our reviewer calls ‘beguiling’; Helen Oyeyemi’s Gingerbread is a ‘[seamless blend of] writing about magic, heritage, culture, and deeply complex relationships’; and Valeria Luiselli’s Lost Children Archive is our reviewer’s favourite book of the year (a comment made to me in passing, and an early call, you must agree, but I’ll check with her again in December!). If you’re looking for a book to fill the A Star is Born-sized hole in your heart, you might try Taylor Jenkins Reid’s Daisy Jones & the Six, written like the best rockumentary you’ve never seen. Adèle is the debut, now in English translation, from Leïla Slimani of Lullaby fame. Jonathan Carr’s Make Me a City, Andrew Ridker’s The Altruists, and Salvatore Scibona’s The Volunteer vie for the title of ‘Big American Novel of the Month’. I’m intrigued to find out more about Joan Silber’s work: her novel Improvement won the 2018 PEN/Faulkner Award for Fiction. It’s always an election year in Australia (or the year before one or the year after one), so there’s no better time to read award-winning historian Judith Brett’s story of our electoral system and our Nonfiction Book of the Month, From Secret Ballot to Democracy Sausage. Our reviewer says it ‘reads like a thriller’ (I’m not sure how many thrillers ‘read like a history’ but that’s their loss!). March brings some wonderful anthologies, including Toni Morrison’s Mouth Full of Blood: Essays, Speeches, Meditations, and Choice Words, a long overdue edited collection of writing about the subject of abortion. You’ll see books about Cradle Mountain (Kindred) and Australia’s highest peak (Kosciuszko), and some inspiring and revealing memoirs, including Caro Llewellyn’s Diving into Glass, Nicola Redhouse’s Unlike the Heart, Hédi Fried’s Questions I Am Asked about the Holocaust, Laurie Halse Anderson’s Shout, Casey Gerald’s There Will Be No Miracles Here, and Albert Woodfox’s Solitary. Witches is Sam George-Allen’s gift to the sisterhood, a book that explores and celebrates women’s collaborations. I’m very keen to read Julienne Van Loon’s The Thinking Woman. Charlie Fox is a new voice of cultural critique from London recommended to you by no less than Chris Kraus, Olivia Laing and John Waters, so take heed of This Young Monster. And finally, dear reader, don’t forget to stock your autumnal reading reserves from our sale table: we have 3 fiction favourites for the price of 2 this month from our friends at Penguin Random House. You can pick up a free copy of the March edition of the Readings Monthly from any of our shops, or download a PDF here.